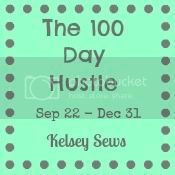 Kelsey over at Kelsey Sews had a great idea...The 100 Day Hustle! Apparently Saturday was 100 days left in 2012?! ZOMG. This is a little stressful to me for a number of reasons. First of all, my new job - I have a coworker right now with the same title as me who has essentially been running the program since its inception, but as soon as 2012 ends he will be leaving and it'll all be on me. 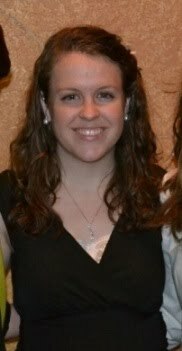 So I have 100 days to soak up as much as I can from him! The other reason it's so stressful? I have so much sewing I want to do before the holidays! Seriously. Lots. So this is where The 100 Day Hustle comes in. Make a To-Do List of things you want to accomplish before the end of the year. The ingenious part is that there are check-in link-ups through the remainder of the year to bring in that elusive accountability factor. So that's it. Sort of. I have some ideal things out there, like putting together another pattern for sale, and I'm sure I'll want to make lots of things for people as the holidays inch closer. But that's sort of the big stuff that I know right now. And that list of projects up there certainly doesn't mean that I'm not dreaming up new projects. Particularly with the bundle above, completely inspired by the Jenean Morrison Grand Hotel print on the far left. And I LOVE the colors in your bundle !! Is it going to be a quilt ? #1 that bundle is awesome!!! Can't wait to see the bunting and Halloween pillows - I love fall :) I've been thinking of you and that American Jane quilt - creepy right - if I get hit with any brilliant ideas I'll let you know :) Thanks for joining in! Good luck! I love Grand Hotel--and that's a beautiful bundle! Good luck! I'm participating, too. 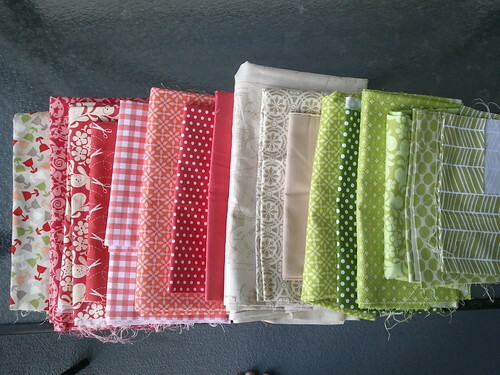 I have that far left fabric as well, thanks for the palette inspiration! I'm excited to see your king size quilt, or at least what pattern you pick for it. My husband wants a king size quilt just because he thinks he's too tall for anything smaller....so that's on my list for someday as well. You're so good at making clothes I'm sure they'll turn out wonderfully!